At 42, Jonty Rhodes is still fit enough to put a 20-year-old to shame. "I want to be a fit and active father to my two boys. I want to enjoy my life," he says. The former South African cricketer, celebrated during his career for his fielding and quick running between wickets, was recently in Mumbai to launch branded nutrition supplements produced by Evolution Sports Nutrition, or ESN. "For the last six years we have studied the Indian market and have come up with nutrition supplements for office-goers who do not exercise and lead a routine-bound life," Rhodes, a co-director at ESN, adds. Rhodes is impressed by the growth of the wellness and fitness products' market in India, worth Rs 2,000 crore. "When I got out this morning I was pleasantly surprised to see lots of youngsters and old people taking walks, cycling and running. People are increasingly becoming conscious of the need to stay fit, which is good," he says. Ajay Chacko, 37, is the man Network18 turns to almost every time it starts something new. 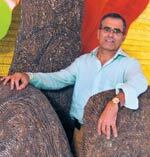 In his seven years with the company, Chacko has headed seven new ventures. "If I don't do something new every two years, I get bored," he says. He is currently President of AETN18 Media, the joint venture between A&E Television Networks of the US and Network18, which recently relaunched the History television channel in India. He feels history-telling should be about more than mere dates, and needs to move from "narrative to entertainment television". "History is about the achievements of people," he says. "For many in a young country like India, history is the 1990s." Unlike before, the channel is now targeting a mass audience, which Chacko finds nothing wrong with. An outdoor person, Chacko, who owns a farm in Karjat, around 150 km from Pune, says farming is his favourite pastime. He visits his farm every weekend. Olivier Bernheim, President and CEO of the Swiss luxury watch maker Raymond Weil, fell in love with India in 1978 on his first visit. The country, not surprisingly, has been on his itinerary often. He has been visiting India around three times a year since 1993, mostly on business. So fascinated is Bernheim that earlier this year, he launched an all-new watch collection inspired by India. The India market currently accounts for five per cent of Raymond Weil's revenues and has posted double-digit growth in the last five years. Women save up for months, sometimes years, to buy the shoes his company makes, so it is not surprising that Joshua Schulman, CEO of Jimmy Choo, knows his quark wedges from his pumps. "Women are passionate about shoes and bags and it is very rewarding to bring out products they dream of all day long," he says. Schulman, who has headed the company for the last five years, is credited with doubling the brand's turnover. "India is important to us because it is not just about our business here but also about Indian customers who shop with us around the world. You will find a lot of Indian names in the list of our top 25 customers at our flagship store in London," he says. Personal computers giant Dell is focusing on small business owners. "Businesses want to be on the cloud, but they are all confused about what the cloud is and how it can impact them. 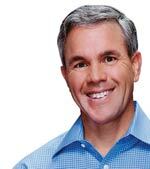 This is where we come in," says Steve Felice, Vice President, Consumer and Small Business, Dell. He believes India will play an important role in Dell's growth. "We want to get more computers into the hands of small businessmen and traders who are a major part of the Indian economy. The best way is to make both hardware and software cheaper and easier to understand," he adds. Some Indian traders are computerising, but it might be a while before your local kirana shop does so.